Video Apple fans with a bent for nostalgia have some to wallow in after a HyperCard clone debuted on Monday. HyperCard was created after Apple decided it wanted a “programming for non-programmers” environment, and in 1987, HyperCard arrived with a price point of US$49.95. It featured database capabilities, a graphical UI users could modify, and the HyperTalk programming language that let users create something not a million miles away from a static HTML website, only on the desktop. Hyperlinks were moderately-brain bending stuff in 1987, and HyperCard became a success on Mac Classic environments. The product made it to Version 3.0 before Steve Jobs abandoned it, and end-of-sale arrived in 2004. 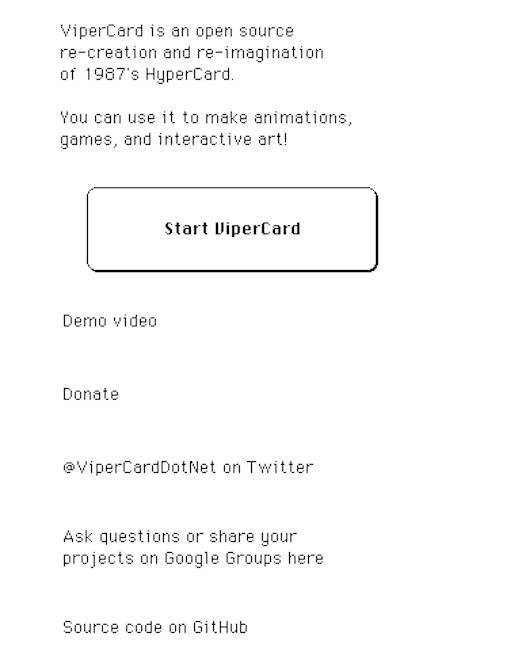 Fisher explained that “HyperCard was successful because it removed many obstacles in the way of people creating digital or interactive media”, something he reckons is missing from modern programming.